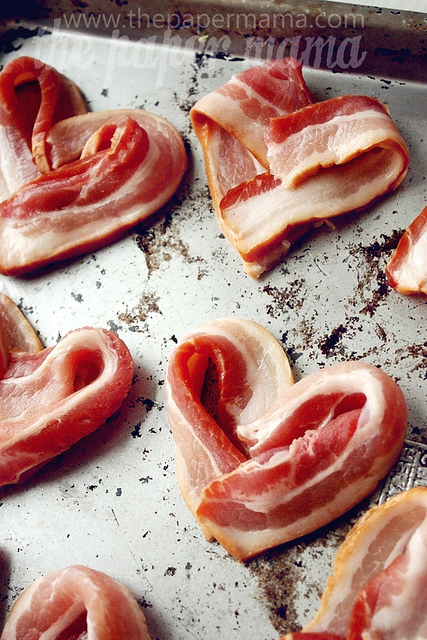 It's just about that time for Bacon Hearts. 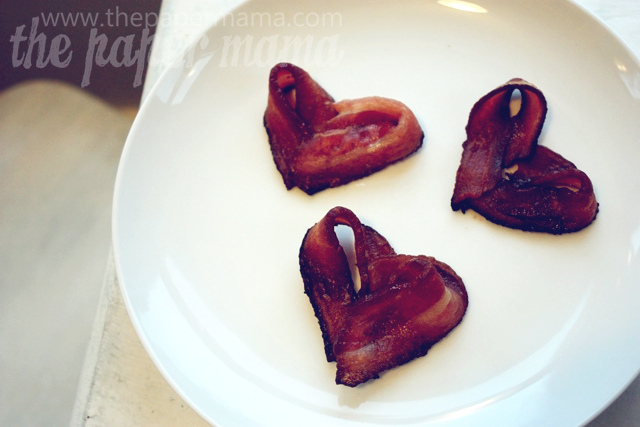 Way back in 2011 I made some bacon hearts. It was my budget/super romantic Valentine’s gift to the husband. I shared it on my blog and everyone loved it. They love it so much that each year around this time I start to get a lot of visitors here to check out my bacon. Hello new friends! The comments I get back from this creation bring about 50% successful hearts and 50% failed attempts. I’ve made these little guys quite a few times (with 2 failed attempts) and I want to share a couple tips with you before you get bakin’ that bacon (see what I did there, “bakin’/bacon”)! 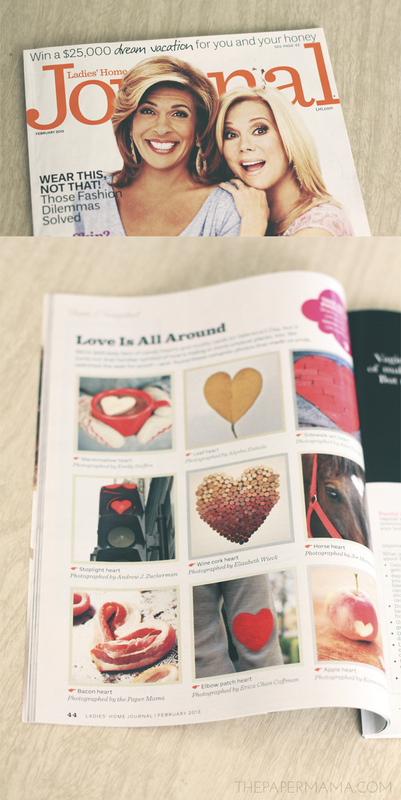 Anyway… these hearts even made there way into last year’s February Ladies’ Home Journal (with Miss Hoda and KLG, hee). First tip: to get this to work you need thick and floppy bacon. Yeah, that sounds weird and I don’t really think the grocery stores are cool with you taking the bacon out of the packaging and shaking it. It’s sort of a trial and error thing, or buy a couple different brands of bacon. We have had a lot of luck with Costco’s Kirkland Brand bacon. It’s thick and floppy. Perfect for hearts. Other tip: don’t forget about your baking bacon. It can burn fast, and those hearts aren’t as awesome if burnt. Still tasty (cause bacon), just not as awesome. Head on over to the original post to get the baking details. do you cut it in half the long way?